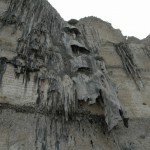 Two hundred kilometers to the east in Salalah, in Hasik, along the road, suddenly spouting limestone stalactites appears. Water drops fall softly into overflowing pools fed by two springs. 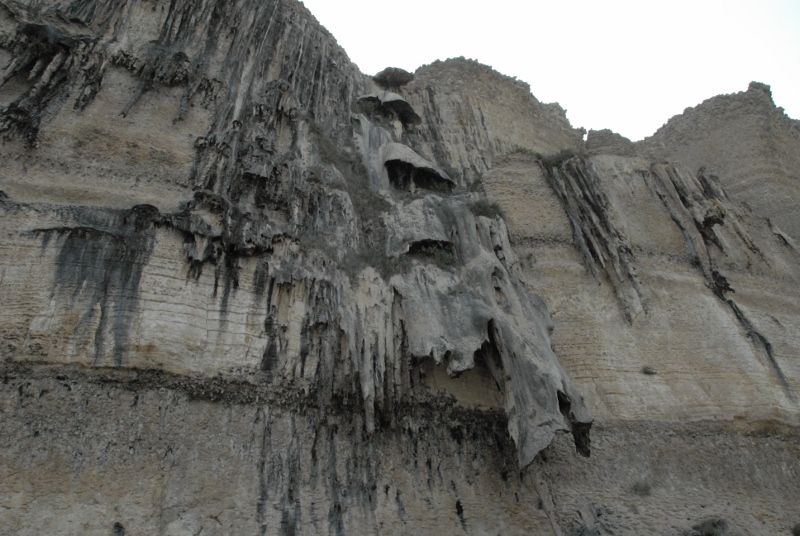 Pure nature causes this eccentric geological phenomenon, by local people called the ‘Crying Stones.’ For me, the comparison of the stalactites with natural organ pipes is not far…. I think that the 17th-18th century German composer Johann Sebastian Bach would loved this place. 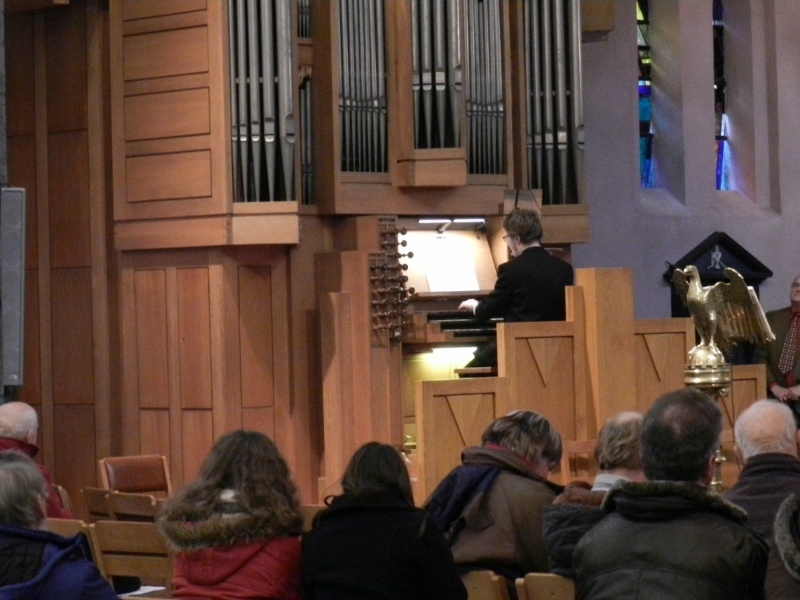 Call it coincidence or not, yesterday in the Church of Saint- Nicolas in La Roche-en-Ardenne, my hometown, the organ concert ‘Meditation d’Orgue,’ organised by the association ‘Les Orgues de l’Ourthe’ started with the performance of a composition of Johann Sebastian Bach. 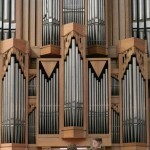 Moreover, while listening to the performance I also thought that the composer would love this place and the organ. 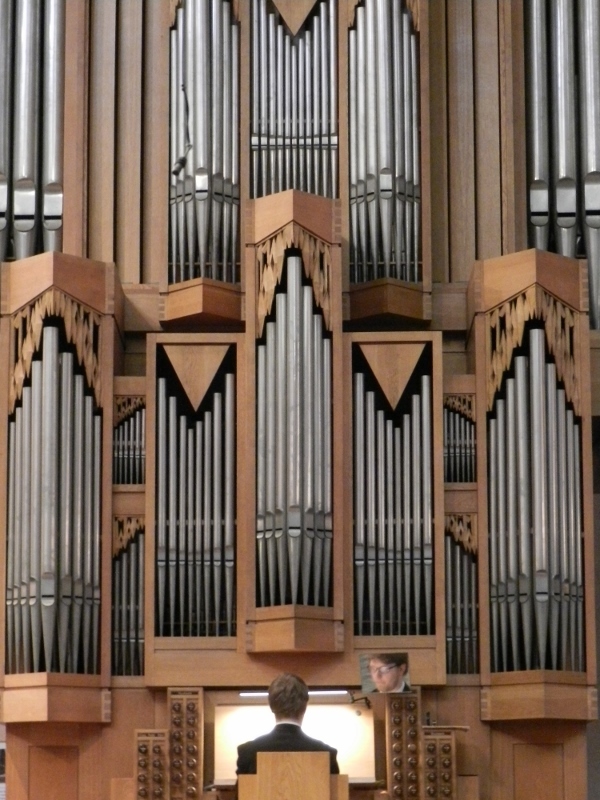 The architecture of the organ build in 1978 by the German Oberlinger brothers, is, like the Crying Stones eccentric in many ways. 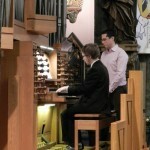 The twelve metres high organ has 4300 organ pipes and three different types of keyboards. The most distinctive feature is the ability to range from the slightest sound to the most powerful. 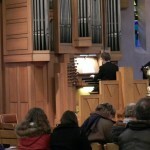 In thirty minutes and in a marvellous way, the titular organist ‘Benoît Lebeau’ showed us the abilities of the organ. 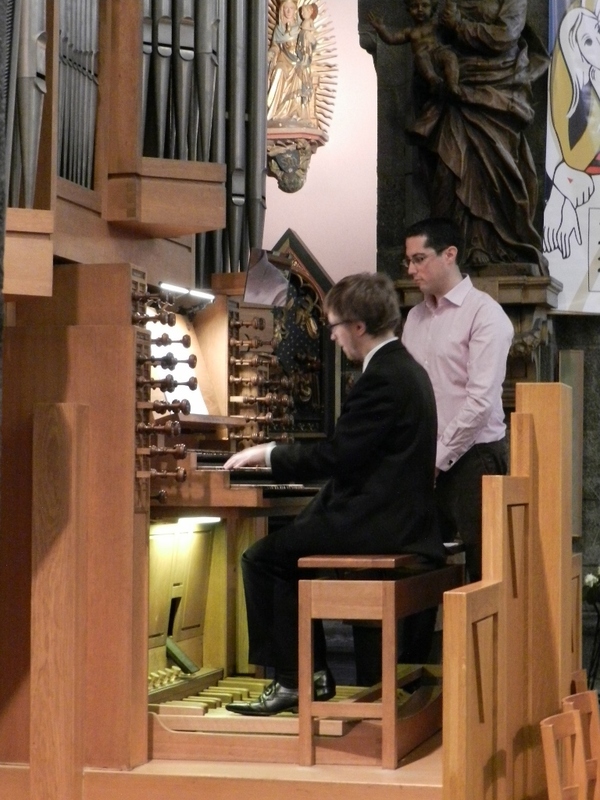 Beside classical compositions and his own improvisation he performed also a modern composition. 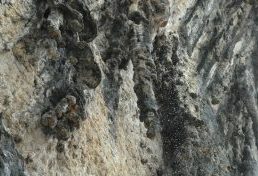 During the performance of the modern composition ‘Invention I’ of Benoît Mernier, on the light playful tunes, my thoughts went back to the ‘Crying Stones’ dropping their playful water drops in the overflowing pools. And suddenly I realized that both worlds I live in, in their own way, are wonderful!